If you are a competent developer who wants to fast-track your application development with NetBeans IDE, then this book is for you. Reasonable knowledge and an understanding of Java programming and NetBeans IDE is assumed. With the increasing complexity of software development and the abundance of tools available, learning your IDE in-depth will instantly increase your developer productivity. NetBeans is the only IDE that can be downloaded with Java itself and provides you with many cutting edge features not readily available with many IDEs. The IDE also provides a great set of tools for PHP and C/C++ developers. It is free and open source and has a large community of users and developers around the world. This book will teach you to ace NetBeans IDE and make use of it in creating Java business and web services. It will help you to become a proficient developer and use NetBeans for software development. You will learn effective third-party interaction and enable yourself for productive database development. Moving on, you will see how to create EJB projects and write effective and efficient web applications. Then you will learn how to use Swing and manage and configure a relational database. By the end of the book, you will be able to handle external services such as databases, Maven repositories, and cloud providers, and extend your NetBeans when you require more from your IDE. 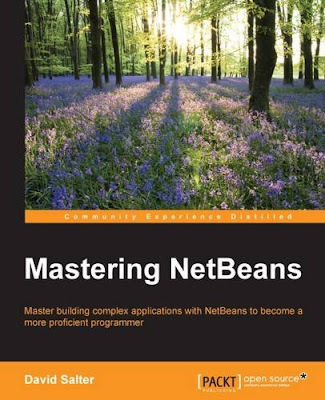 An easy-to-follow yet comprehensive guide to help you master the exhaustive range of NetBeans features in order to become more efficient at Java programing. More advanced topics are covered in each chapter, with subjects grouped according to their complexity as well as their utility.